Speed and ease are the order of the day for Marion when it comes to food. Working full time as an IT specialist, she doesn’t have time to hang around. Pasta is her main staple food because it’s quick, but she also has a penchant for Lemon Drizzle cake! ‘We’ve got chicken that is covered in powder of God knows what. The way that it’s processed is not what you want to be putting in your body. You want to be putting fresh, delicious ingredients in there that’s actually gonna have some nutritional value and be good for you. This is not proper paella! It makes me cross!’ laughing. But it’s not just the fact that it’s a ready-made paella that is the issue. The next ready meal was a curry with a calorific content of 870 calories! Not to mention the 38 grams of fat that’s in it! Marion’s favourite cake is a Lemon Drizzle sponge so the first thing Gizzi needed to do was come up with an alternative for it. She told Marion she was going to give her a new style cake. While she was making the cake mix, Gizzi got out her old favourite – the fruit sugar (fructose) to use in the cake. She asked Marion if she had ever heard of it and Marion said she hadn’t. Gizzi called it a ‘super-product’. Because it’s one and a half times sweeter than normal sugar, you don’t need to use as much of it. She also used rice flour because it’s a little bit better on your body than normal flour. She said that a lot of women, when they eat wheat, find it bloats them and that this helps to combat that. For the drizzle on the top of the cake, Gizzi used the fruit sugar and lemon juice again. Then she got out her surprise ingredient – orange flower water. She got Marion to sniff it and Marion seemed pleased with the scent. Gizzi said that it is quite strong so you need to use it sparingly. 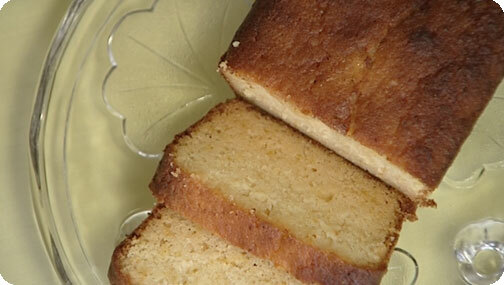 Marion’s shop-bought Lemon Drizzle cake has a huge 285 calories per portion. Gizzi’s Moroccan Lemon Sponge has a much lighter 187 calories per portion. Almost 100 calories less. Gizzi told Marion to dig in to the finished article. Marion was very pleased and said it was lovely. She said it was really lemony. So, a thumbs up from Marion for Gizzi’s first recipe! But Marion’s lifestyle is not helping in her bid to shift some pounds. She passed her driving test five years ago and now tends to drive everywhere. She said she used to walk a lot but now, she just jumps in the car instead. She said she wasn’t doing a paella as such but she was going to do a baked seafood and chorizo risotto. Marion looked very interested in that and when Gizzi reached for the white wine while she was cooking, Marion seemed even more interested! While the food was being cooked, Marion said the smells were amazing. Gizzi asked if Marion’s paella smelt like that when it came out of the oven. Marion said no and laughed. Marion’s Chorizo and Prawn Paella and Garlic Bread comes in at a massive 720 calories per portion. 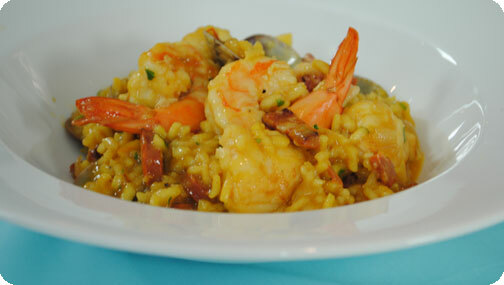 Gizzi’s home-made Baked Seafood and Chorizo Risotto comes in at just 416 calories per portion. So Marion still gets her Mediterranean flavours but at a whopping 300 calories less! The dish got another thumbs up from Marion when she tried it. She said it was much better than the paella she had been eating! Gizzi told Marion that she was going to try and change the way Marion looked at Chinese food and was going to show her how to make Dim Sum. Delicate, steamed, bite-sized parcels full of flavour. And so they got on with filling the dumpling cases. 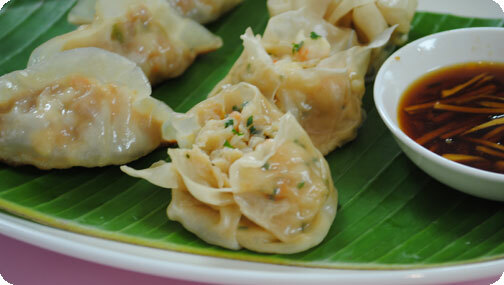 Gizzi used dumpling cases for the pork and prawn filling and for the seafood one she used wonton wrappers. The pork and prawn ones looked just like miniature Cornish pasties! Marion’s Mammoth Chinese Takeaway waddles in at 83 grams of fat per portion. Gizzi’s Delicate but Tasty Dim Sum with Chinese Vegetables and Dipping Sauce pirouettes in at just 7 grams of fat per portion! 11 times less fat! Gizzi then told Marion she had something that was going to make her new-found cooking techniques easier. She gave her a bamboo steamer. Gizzi said it was like a proper Asian bamboo steamer which is used on top of a wok. Marion was really pleased with it. If all Marion does is swap her dishes for Gizzi’s new recipes and keeps up the car washing, she could lose three stone in a year, just in time for her daughter’s wedding! Now that is how you cook yourself thin!